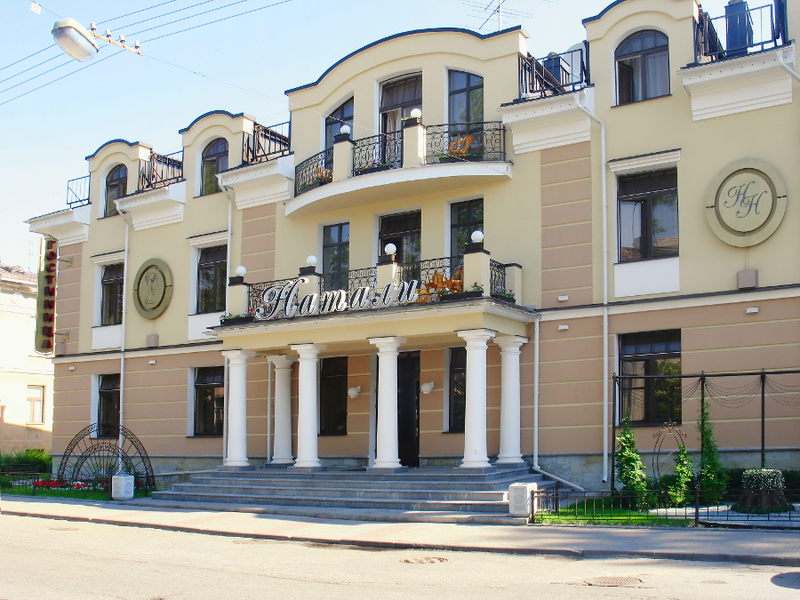 This cozy privately owned hotel is located in the very heart of the town of Pushkin, the summer residence of the Russian tsars and emperors. It is set a short distance from the St. Petersburg airport and within the walking distance from the world renowned Catherin Palace with its famous Amber room, Alexander Palace, the residence of the last Russian Tsar Nicolas II and his family, as well as the Lyceum, the school of Alexander Pushkin, Russian poet whose name bears the town nowadays. First hotel was launched in 2003 and a few years later in 2008 the newly built edifice has opened its doors aimed to provide accommodation and additional services for the guests. The hotel was named after the wife of Pushkin, Natalia Goncharova, (whose portrait you can see in the lobby of the first hotel building). The decor of its interiors has been executed in the Classical style, peculiar for the Pushkin’s. Second building “Pushkin Hall” was intended to be “Male” one and mainly wood, stone and metal prevail in its door. Single standard room: vary in size from 12 to 15 square metres and are equipped with a Queen bed, bathroom with a shower, mini-bar, safe deposit box, phone with local and international line, Wi-Fi and cabled Internet, ventilator, satellite and local TV, hairdryer, mini-bar. One room of this category is equipped with air-conditioner. Two guests can be accommodated in a Single room at additional charge. Twin Standard room: Twin-bedded rooms vary in size from 15 to 22 square metres and are equipped with two Twin beds, bathroom with a shower, mini-bar, safe deposit box, phone with local and international calls, Wi-Fi and cabled Internet, ventilator, satellite and local TV, hairdryer, mini-bar. 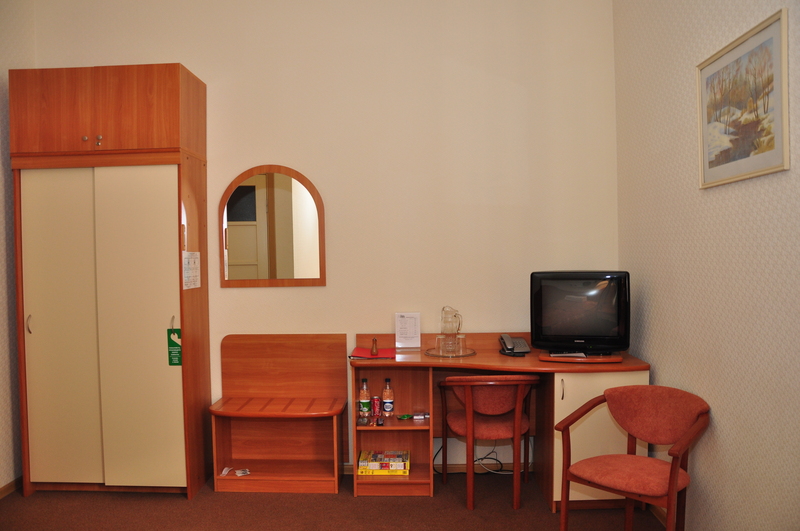 Businees Standard room: the room for 1 or 2 persons accommodation. One double bed, LCD TV, armchair, small-fridge,bathrooms are equipped with shower cabin. 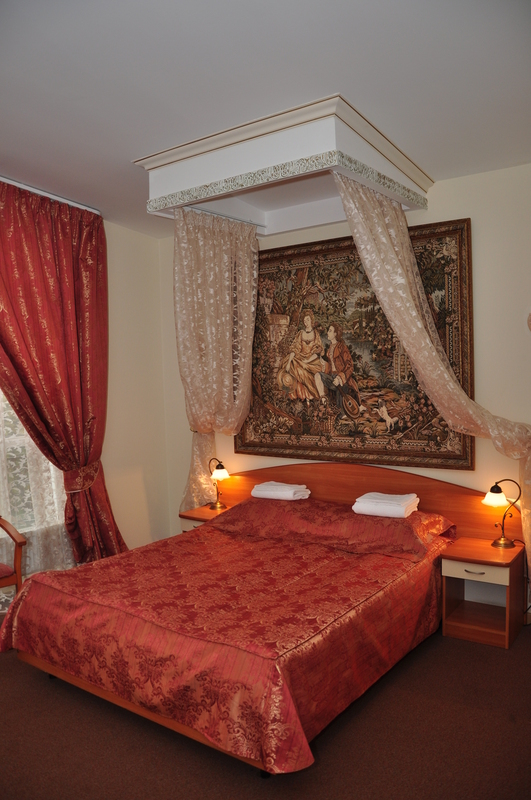 Prices are indicated in RUR per room per night including breakfast and tax. If two participants want to live in a Twin room, ONLY ONE of them should book it and write in the comments box of the Hotel Accommodation section the name of his/her room-fellow. Please send us e-mail with this information. We will change the room category “Twin” to “Place in Twin” and halve the price.